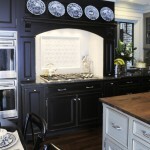 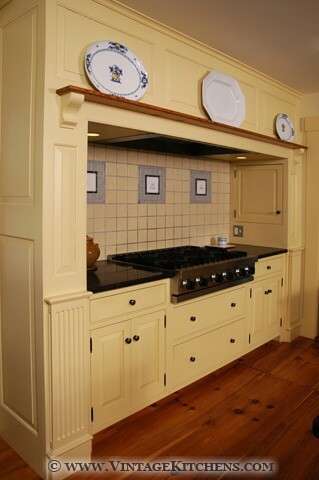 Viking range surrounded by a Quality Custom Cabinetry over mantel. 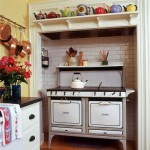 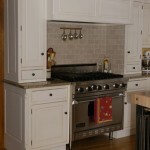 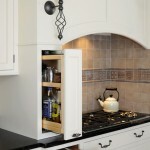 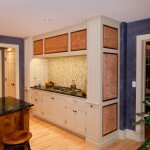 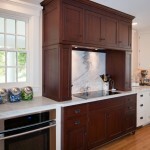 The mantel hood cabinetry holds convenient pull-outs for cooking necessities. 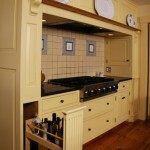 The restored antique range is recessed into a tiled alcove. 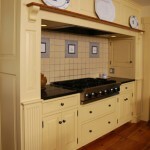 The mahogany mantel surround houses a powerful cooking ventilation system as well as a flat-screen TV.